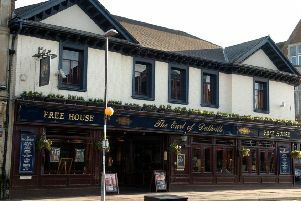 The pub, in High Street, in the Old Village, was at the heart of the town’s live music scene and had recently undergone a pricey refurbishment. But it has shut today and all forthcoming events cancelled. A statement on the pub’s social media site said: “It’s with the deepest regret that we have to inform you that The White Hart has closed with immediate effect and apologies to anyone with bookings for the near future but unfortunately these will not be going ahead. “I would like to thank everyone for there support over the last few years. “From all the music promoters, Mars, Yuk, Foncey foncey, Rocked up, Grievous promotions and many more. “Also all the sporting associated clubs. The golf section, Corby locos, Corby town youth and darts and pool teams. Landlord Chris Glackin had told the Northants Telegraph at the end of last year that he had lost £47,000 during the closure of the Cottingham Road rail bridge while Network Rail prepared the line for electrification. He said that drinkers were not visiting the pub anymore and that he had been driven to the brink by the works. After Chris made the announcement this lunchtime, there was an outpouring of upset on social media. No reason was given for the pub closure. The Northants Telegraph has contacted the landlord for comment.